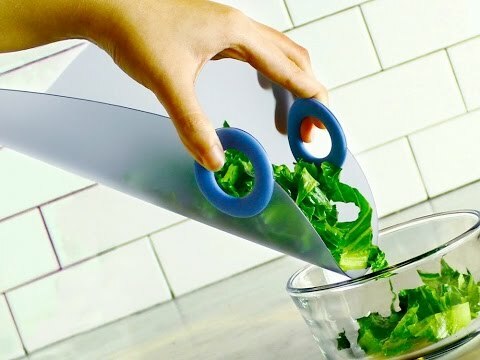 A surface for chopping and cutting, that bends into a scoop so you can easily drop your food pieces or veggies directly into the pan. I love these chop and drop they are so easy to use and they clean up well thanks for asking. I am buying our second set. They take up very little space and clean up easily. Each set contains three smashing colors. 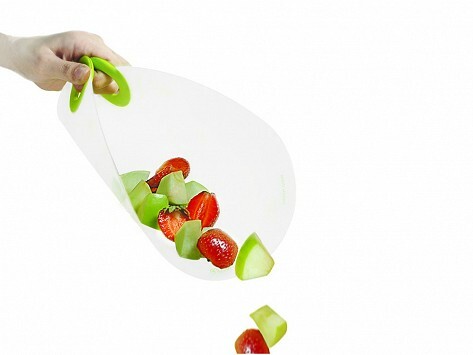 Ready, set, chop 'til you drop.